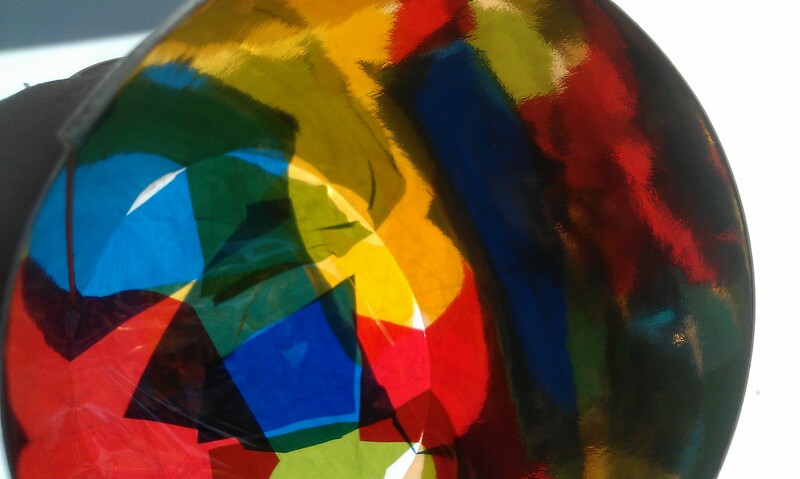 Martin Donlin has created beautiful designs for architectural glass works to go into the new pavilion at Boundary Park. 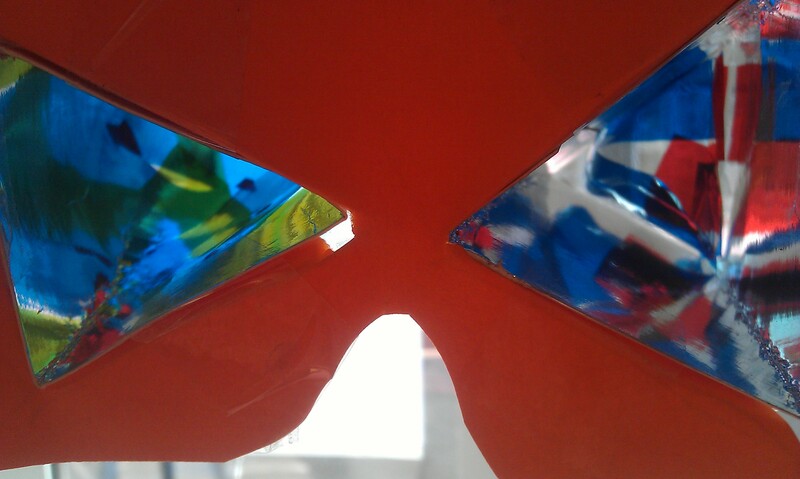 Last week Arts Development Officer, Abigail Brown, went with Martin to see the works being fabricated. The images below give a sense of the scale and colour of the works which will transform the entrance of the pavilion in the very near future. Watch this space for updates! Textiles artist Anne Griffiths is creating a series of vibrant felt works for the walls of the Northern Neighbourhood Community Centre with help from residents of Great Western Park. Anne has carried out some fascinating projects in the local area, including a series of textile panels for Diamond Light, the Synchrotron at Harwell. You can find out more about this here. 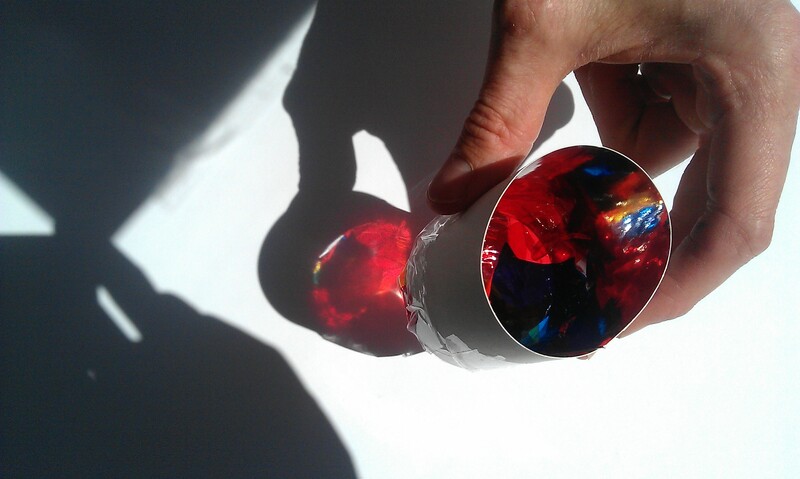 For this project Anne is thinking about the physical fabric of Great Western Park and the process of construction. Many different materials come together to create a home, and Anne is inviting workshop attendees to look at these under a microscope to look at patterns, shapes and colours as a starting point for designing felt panels. Each participant will create a felt oblong which will be arranged together in a brick format to create a large wall based felt work. 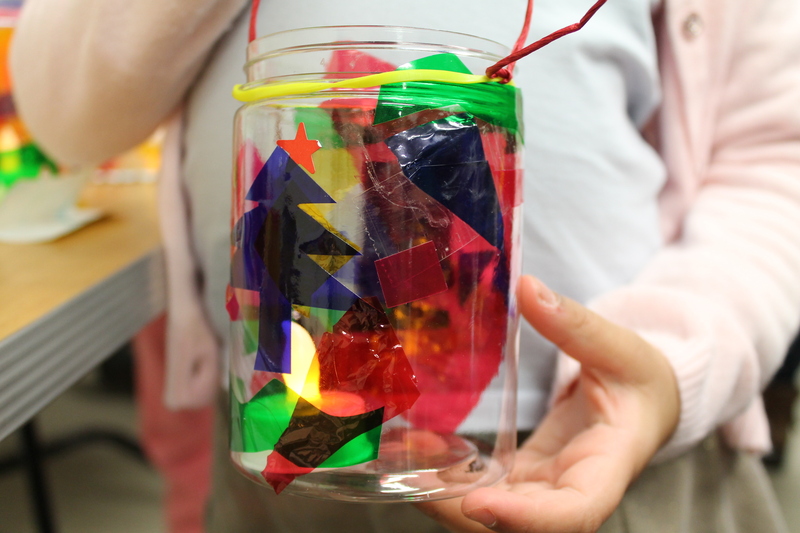 This is a project for young and old – everyone is welcome to join in. 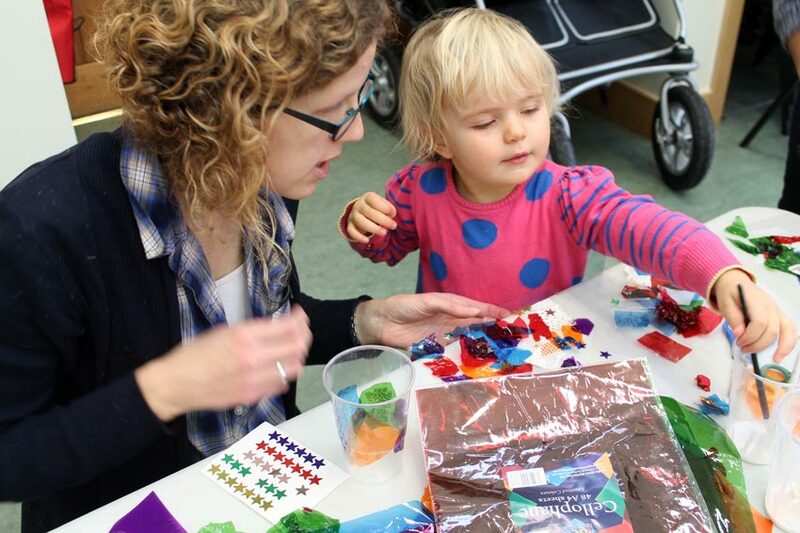 So far Anne has worked with some families at a Saturday workshop at the NNCC and a session at the WI. You can see images of these sessions below. 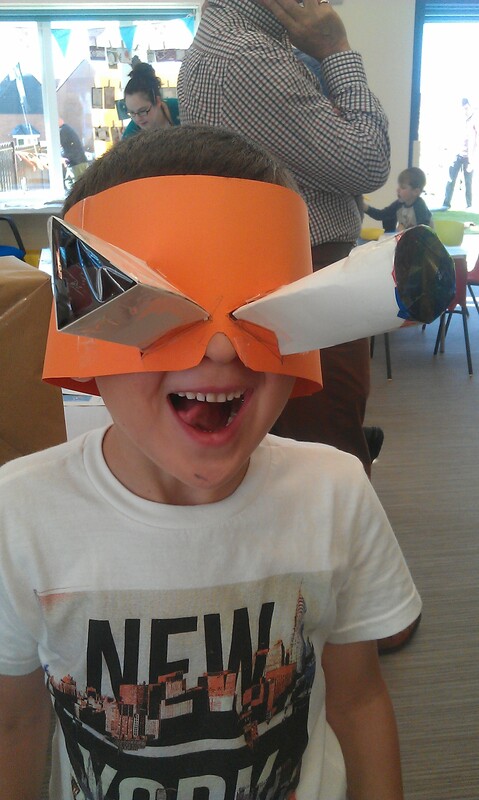 There are plans to run another session in the summer holidays. Please get in touch with me rachel.barbaresi@gmail.com at if you would like me to add you to our mailing list for these or other workshops or you can contact Anne direct at info@annegriffiths.com. Michael Condron has submitted three initial sketch designs for proposed artworks. 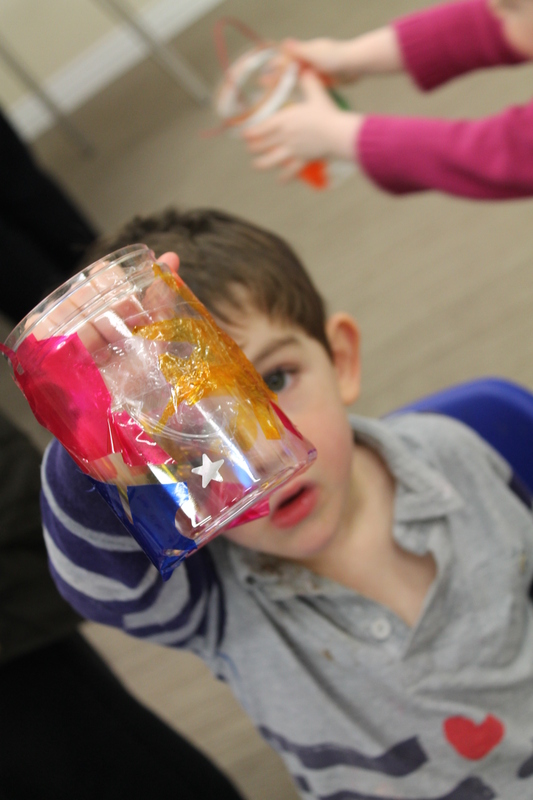 These have been developed through a series of visits to science facilities in the area around Didcot, and through some inspiring workshops with community groups. You can find out more and see visuals of his proposals here. The carol singing event at Great Western Park was a resounding success this year. It was lovely to be inside the community centre rather than battling the elements outside as we have done in previous years! The singing was fabulous, accompanied by the wonderful Wantage Town Band. 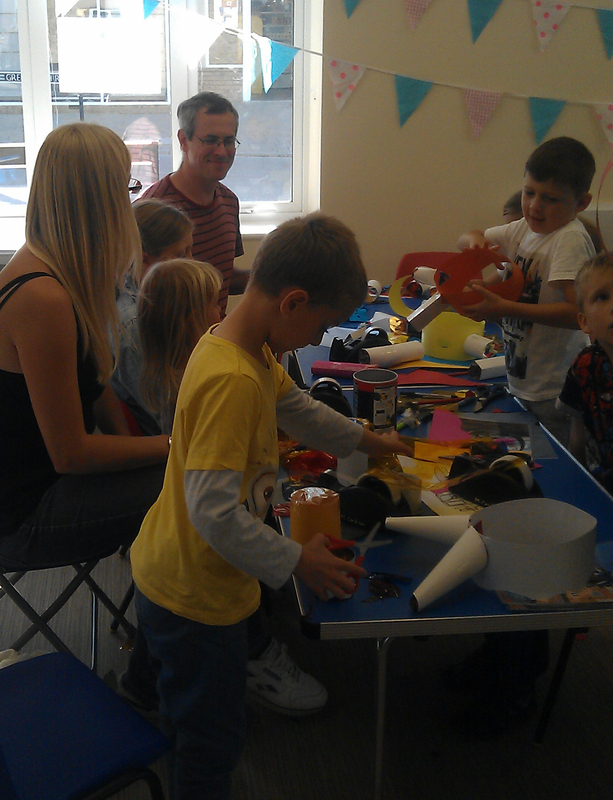 Northern neighbourhood community centre open day! All who are involved in the arts in Great Western Park (and many others!) have been waiting for the community centre to open for a long time. 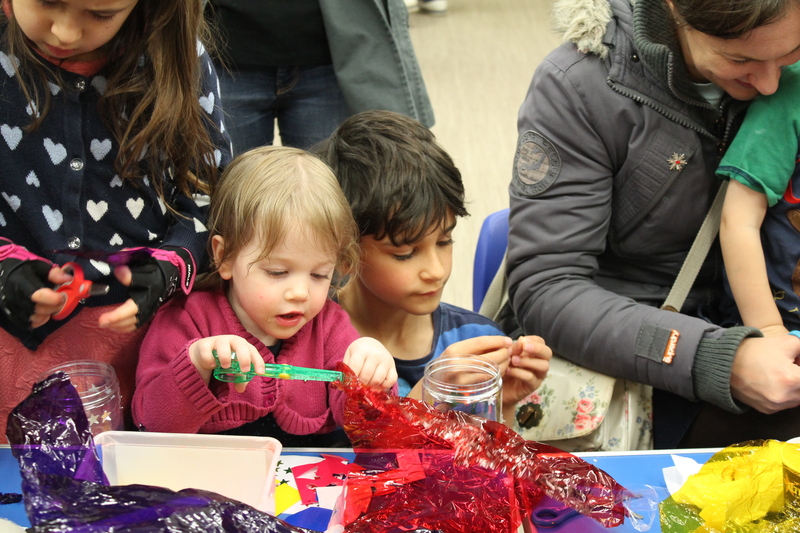 Our plans for running workshops and developing public art for GWP have hinged on having a community space so that residents of GWP can get involved and contribute to the process. 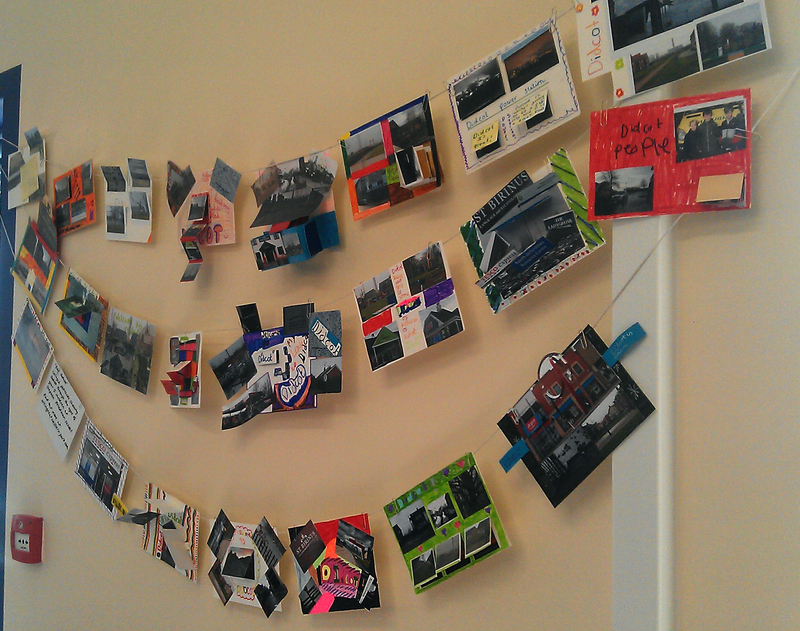 I also displayed some of the postcards made with a group of year 5 children from Stephen Freeman School. 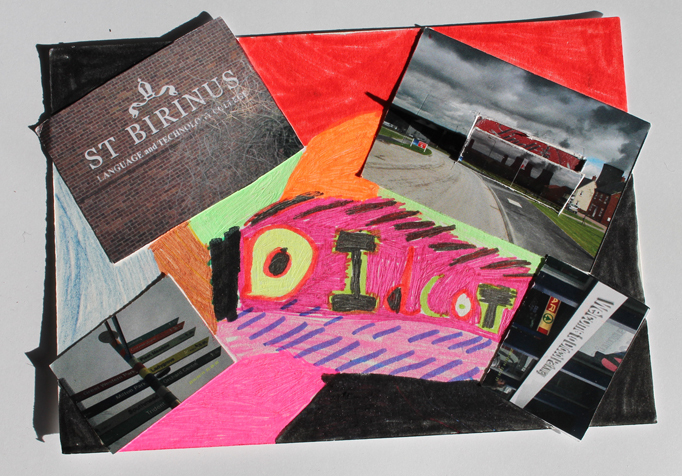 Here are a few of the wonderful postcards created during my sessions with year 5 pupils at Stephen Freeman school. 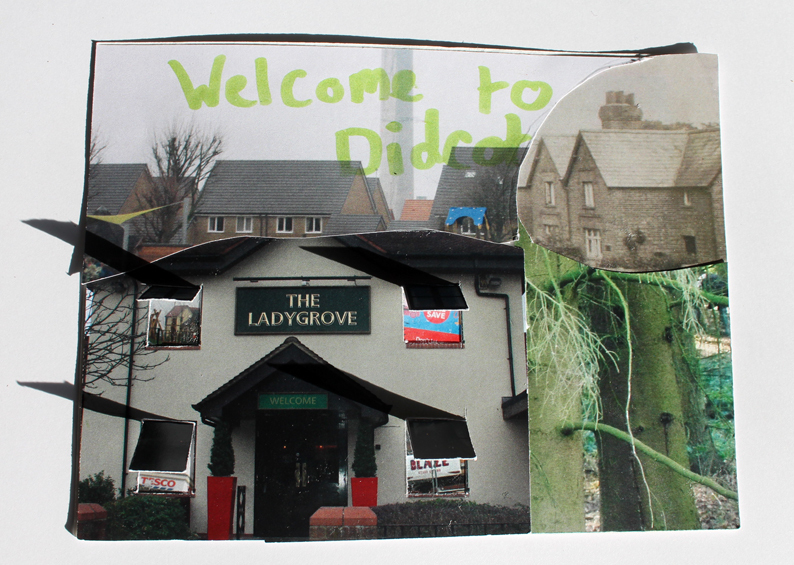 Using their own images, photos by Paul Bodsworth (a Didcot photographer) and some archive images, the pupils created collages which show the town from their point of view. 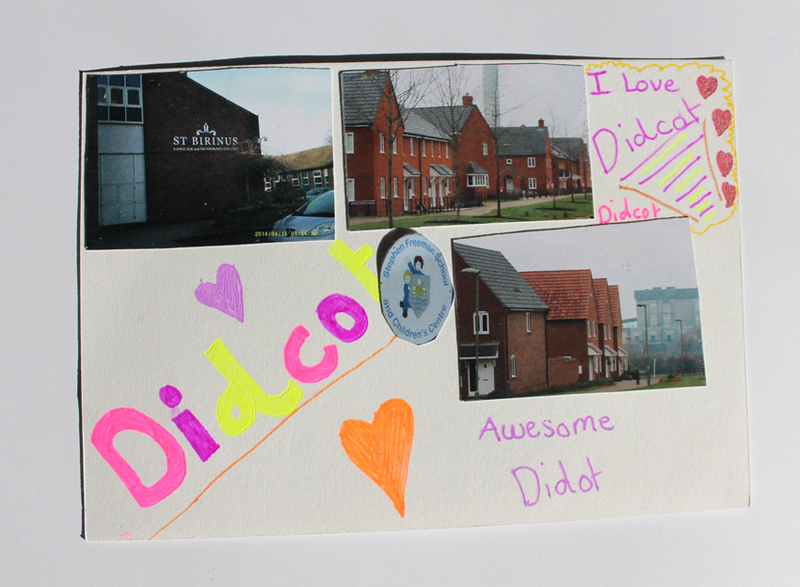 It was our aim to make documents of Didcot which include the newly evolving housing development at Great Western Park alongside the older, established areas of the town. The postcards will be exhibited in the Cornerstone window displays from 1st October to 16th November. 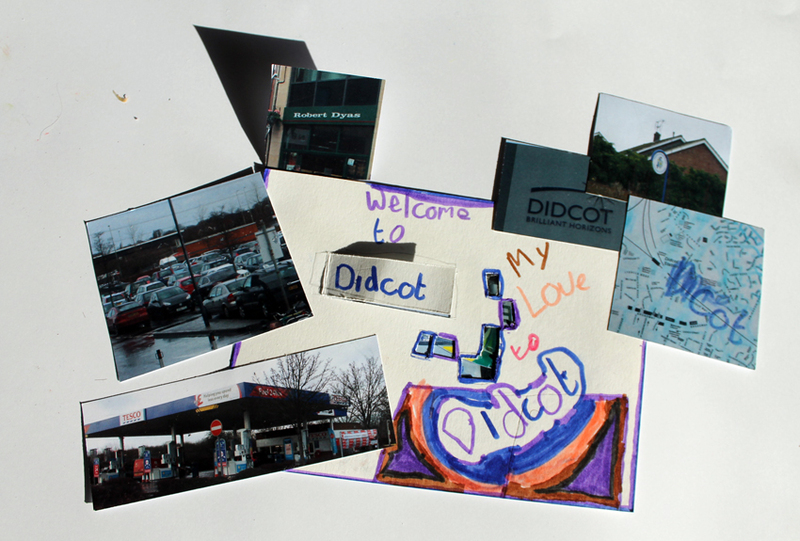 The year 5 pupils of Stephen Freeman school are working on a new project to create their own postcards of Didcot. 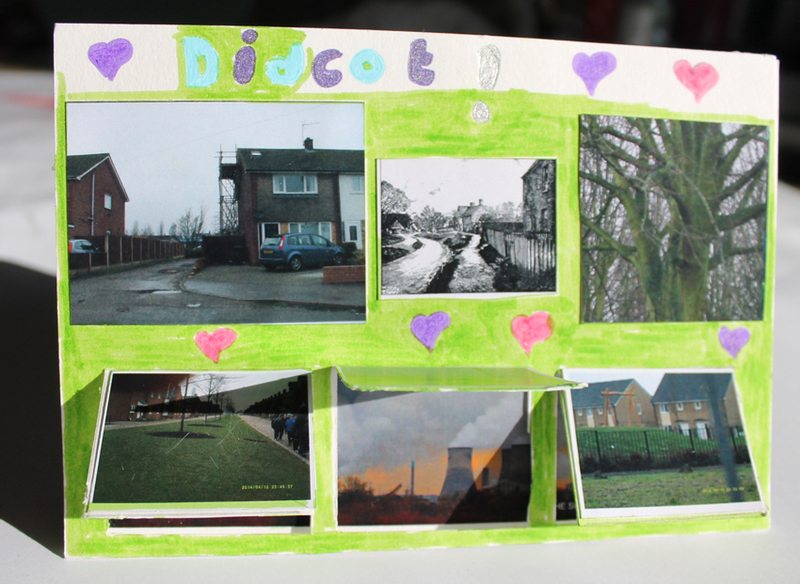 Rather than showing just the well known aspects of the town, they are creating a more personal ‘real’ portrayal of Didcot, showing favorite places to play and the areas where they live and go to school. 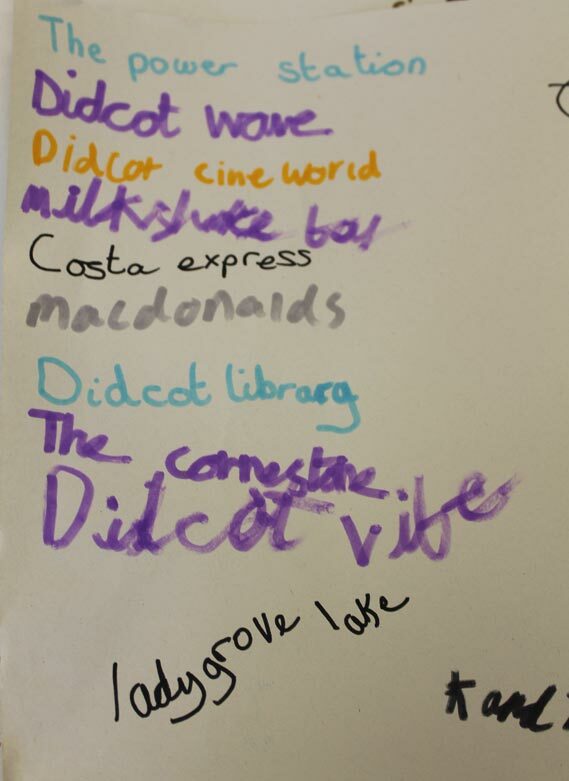 Here are some of their suggested locations for taking photographs! I enjoyed meeting some of the youngest residents of Great Western Park at their toddler group. 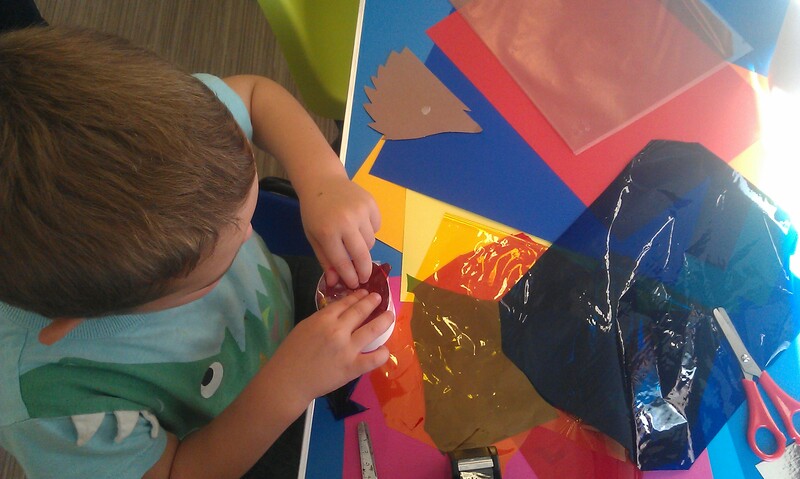 We made some collages designed to catch the light using coloured film, lace and doilies. 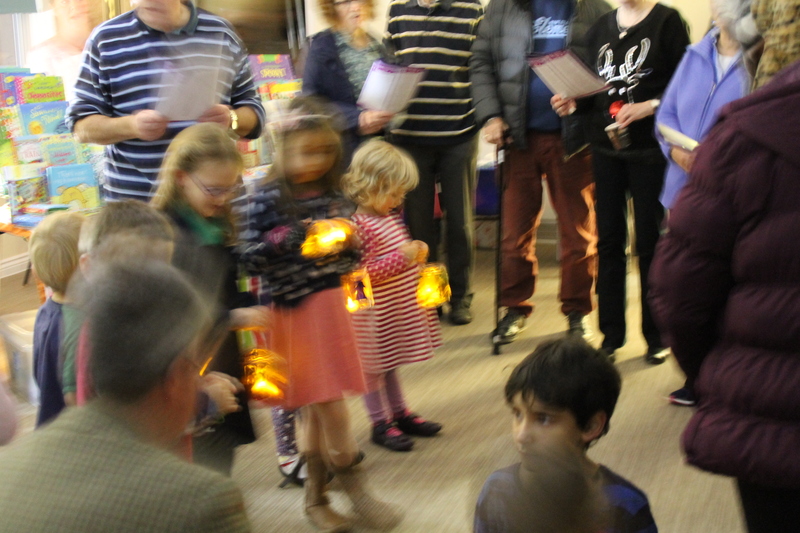 We had a great turnout for our lantern making workshop which coincided with the outdoor carol service at Great Western Park. 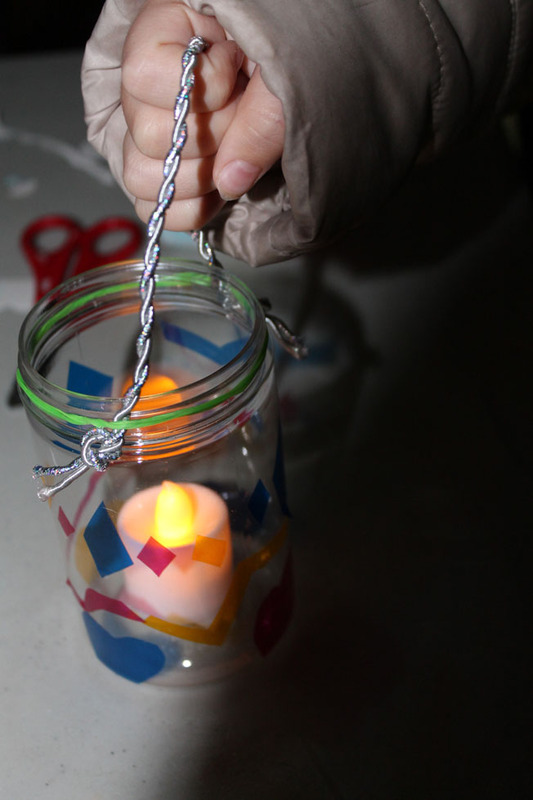 More than 50 children braved the cold to make beautiful decorated lamps. It was a lovely opportunity to meet GWP residents. I’m looking forward to the next!